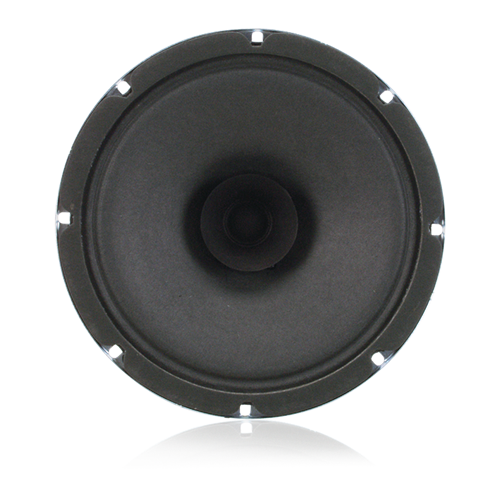 Model C5AT70 is a reliable, economically priced 15-watt speaker with a pre-mounted 70.7V 5W transformer that offers many features found in speakers costing considerably more. It includes a curvelinear, treated-paper cone for lower harmonic distortion. It is also equipped with a full 1" diameter copper voice coil with a black-anodized aluminum former for better power dissipation. Model C5A operates within a frequency response range of 50Hz - 18kHz with a sensitivity of 96dB and a dispersion angle of 105°.